Nothing beats the convenience of warming or cooking your food in a microwave, especially when your day is jam-packed with work and family. Unfortunately, after years of use, your GE microwave model JNM1541DPWW can start emitting loud and concerning sounds. If a humming, grinding, or whining noise is coming from your appliance, the repair guide provided below can help you pinpoint and replace the malfunctioning component. Warning: Microwaves maintain a large amount of electricity after they are unplugged. Which is why, replacing internal components without the proper training is extremely dangerous. If you are not a professional appliance repair technician, please contact one to perform internal repairs. Your microwave is equipped with a high voltage capacitor, which makes the appliance capable of shocking you even after you have unplugged it. The high voltage capacitor stores large amounts of electricity and must be discharged before you attempt to repair your appliance. If you do not feel comfortable performing this task, or you do not have adequate experience, we recommend hiring a trained appliance repair technician to repair your microwave. However, if you do plan on discharging the high voltage capacitor, the steps below will help you. Before starting, make sure you are wearing work gloves and safety goggles. Unplug your microwave, and if it’s mounted to your cabinetry and wall, uninstall it and place it on a flat surface. Then, open the microwave door, and take out the microwave’s glass tray and support. Using a Phillips screwdriver, unthread the mounting screws holding the grill to the microwave. Then, slide the grill over and lift it up and off your appliance. Carefully lay your microwave on its rear panel, and unthread the screws attached to the appliance’s bottom panel. Then, disconnect the wire harness and pull the panel off your microwave. Next, stand your microwave back up, and remove all the screws securing the microwave cabinet to the appliance. Once the screws are out, take the cabinet off the microwave. Now locate the high voltage capacitor. To discharge the capacitor, use an insulated pair of needle nose pliers. Touch the metal ends of the pliers to the capacitor’s terminals at the same time. Make sure you do not touch the metal on the pliers with your hands. When the metal touches the terminals you will hear a loud pop. Continue to hold the pliers in place for a few seconds. You may want to perform this task a couple of times to ensure the high voltage capacitor is fully discharged before you move on to repairing your microwave. All microwaves are equipped with a magnetron. The magnetron generates the microwave frequency, which in turn creates the heat that warms or cooks your food. A properly functioning magnetron emits a low hum during operation. When the magnetron is failing that hum can turn into a high pitched hum or a growling sound. If the magnetron in your microwave is faulty, it will need to be replaced. However, if you do not have experience working on a microwave’s internal components, we suggest hiring a trained repair technician to complete the job. Once you have followed the directions above and discharged the high voltage capacitor, you can locate the magnetron and start the replacement process. To do so, first, disconnect the wires running to the magnetron. Then, unthread the mounting screws securing the component to the inside of the microwave. Next, pull the magnetron out of the microwave slightly, and detach the wires running to the thermal protector. Now you can completely remove the failing magnetron from your appliance. Before you can install the new magnetron, you need to take the thermal protector off the old component. Once the thermal protector is no longer attached to the defective part, retrieve the new magnetron and attach the thermal protector to it. Now you can install the new magnetron. Begin by reconnecting the wires to the thermal protector. Then, align the magnetron with its mounting bracket, and rethread the screws that hold the part in place. Lastly, reattach the wire connector that runs to the component. With the new magnetron in place, you can start reassembling your microwave. First, reattach the microwave cabinet and secure it with all the screws you took out earlier. Next, lay the microwave down and reinstall the bottom panel. Don’t forget to reconnect the wire harness you disconnected during the disassembly process. 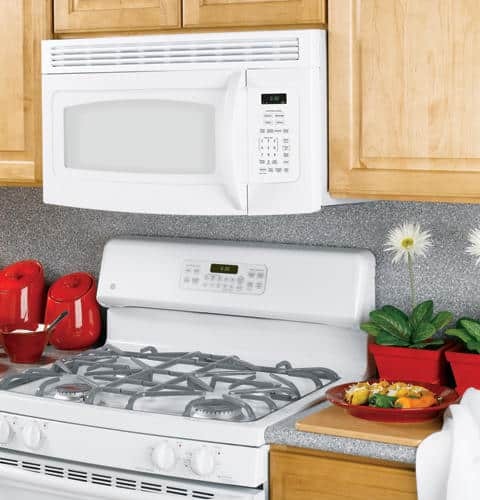 Once the bottom panel is reattached, stand your microwave back up, and reconnect the appliance’s grill. Then, open the microwave door, and replace the glass tray and support. After you are done reassembling your microwave, you can reattach the appliance to the mounting brackets on your wall and cabinet. Your microwave’s drive motor rotates the appliance’s glass tray. If you hear a grinding noise as the tray is turning, a failing drive motor is most likely the problem. The only way to get rid of that annoying noise is by switching out the faulty drive motor for a new one. For this repair you do not need to discharge your microwave’s high voltage capacitor, but you still must unplug your appliance before you begin the replacement process. Once your appliance is no longer plugged in, use a Phillips screwdriver to unthread the screws securing the bottom panel to the microwave. Then, lower the bottom panel and allow it to hang from the back of the appliance. Detach the wire harness running to the motor and take out the screw holding the drive motor to the bottom of the microwave. Once the screw is loose, rotate the motor clockwise and pull it off the drive coupler. Grab your new drive motor and push the shaft into the opening in the drive coupler. Rotate the component counterclockwise to slide the tabs on each side of the motor into the slots on the bottom of the microwave. Then, rethread the mounting screw to secure the part, and reconnect the motor wire harness. Close the bottom panel and reinstall the screws you removed earlier. Plug your microwave back in and warm up some food to ensure the repair got rid of the grinding noise plaguing your appliance. While the magnetron and the drive motor are two of the more common causes of a loud microwave, there are other faulty components that can lead to the same symptoms. If you’re not sure what part is malfunctioning in your microwave, please contact us today and one of our highly trained appliance repair technicians will be happy to diagnose and repair the unusual sound coming from your microwave. 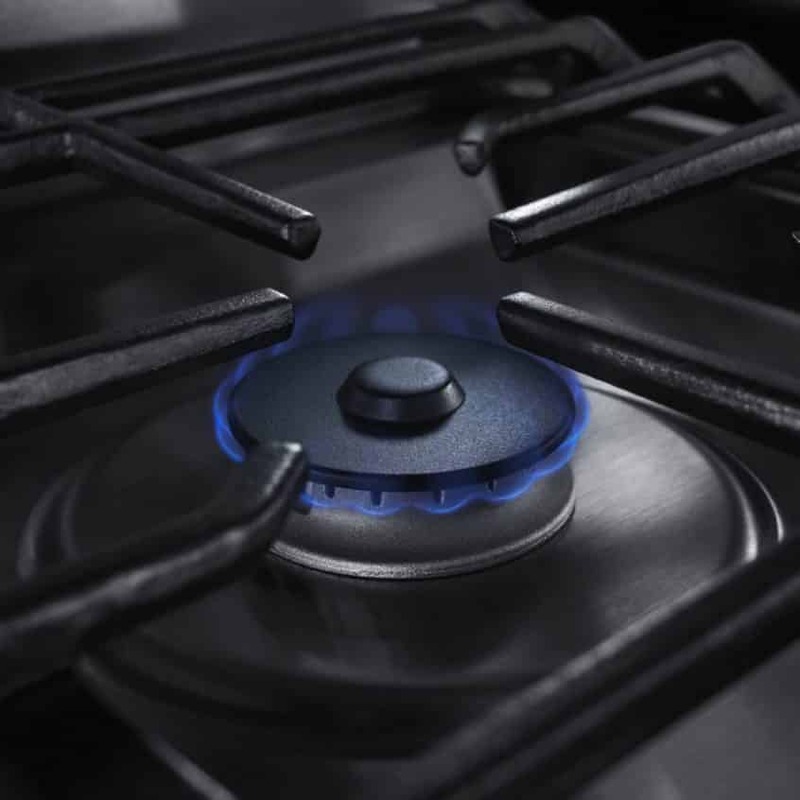 If one of your burners isn’t lighting up, it might not be receiving any gas. That means you need to replace the attached burner valve. With a replacement burner valve and a bit of time, you can replace the broken part yourself. Just order replacement part #W10844473 for your KitchenAid gas cooktop and follow these steps. Depending on the valve that needs to be replaced, check with your appliance manual to ensure you get the correct part. 1. Unplug the cooktop and shut off the gas supply. Whether you’re working with a gas appliance or a purely electrical one, the first disconnect it from the power source. Because you will be removing the control knobs and disconnecting gas supply lines during the course of this repair, make sure the power cord is unplugged and the gas supply is shut off. If your cooktop is wired directly into your house’s electricity, flip the appropriate circuit breaker. 2. Disassemble the top of the cooktop. Remove the screws holding the brackets on the underside of the countertop that secure the cooktop to the countertop. Loosen the adjustment screws in the middle of the brackets without removing them. Then rotate both brackets ninety degrees so they don’t cross underneath the cooktop. Retighten the screws to hold the brackets in place. Loosen the clamp around the venting to disconnect it from the blower. Remove the three grates and the vent grill from the top of the cooktops. Also, remove the burner caps and bases. After that, remove the six control knobs from the valve shafts and set them aside. Pull the cooktop slightly above the countertop. Slide two pieces of wood between the cooktop and the counter to hold it elevated. Then remove the four orifice holders. To do so, loosen the two screws holding each one in place. Locate the blower switch mounting bracket or the bottom right of the six valve shafts. This has the screw that secures the top panel to the countertop. Loosen and remove the screw. Now you can pick up the top panel and access the internal parts. Set the top aside. 3. Remove the burner valve manifold assembly. First, loosen the nuts holding the gas supply lines to each of the five burner valves. Also, loosen the nut holding the main supply line to the manifold. Pull each of the supply lines away from the valves so they don’t catch on anything when you remove the manifold assembly later. Next, unplug the wire harness connecting the manifold assembly to the cooktop. Look on the casing just outside the manifold assembly. Loosen and remove the six screws that hold the manifold in place. Remove the manifold carefully, and make sure it doesn’t tug on the wires or gas supply lines. Set it aside. 4. Remove the broken burner valve. Locate the burner valve that needs to be replaced. Then pull off the white circular shield and the red spark switch beneath it. They should easily slide up off the burner valve. Next, flip the assembly over. Locate the screw holding the burner valve and its bracket in place. Then loosen the screw. Remove the bracket and the burner valve. 5. Install the new burner valve. Line up the bottom of the new burner valve with the hold in the manifold. Hold it in position as you align the bracket in place on top of it. Then secure both parts in place with the screw. Be careful not to overtighten. Flip the manifold assembly over. Slide the red spark switch over the valve and push until you hear a click as it locks into position. Also add the white shield. 6. Reassemble the manifold assembly. Pick up the whole assembly and position it back inside of the cooktop. The front left corner will fit under the metal bracket in the corner of the cooktop. Hold the manifold assembly in place and retighten each of the six screws that hold the assembly in place against the casing. Once it’s in position, reconnect the main wire harness. Then connect each of the five gas supply lines to the valves and tighten the nuts. Make sure you connect and tighten the main gas supply line into the manifold assembly, too. Pick up the top cooktop panel and align it with the cooktop. Make sure the surface igniters align with the holes so the top with flush with the edges of the cooktop. Carefully wiggle the igniters to make sure they fully protrude through the holes in the top. Then tighten each of the two screws that secure the top in place. Repeat for each of the three remaining orifice holders. Make sure the screws aren’t overly tightened. Next, tighten the screw holding the top to the mounting bracket for the blower switch. Add the control knobs back onto each burner valve. Align the knobs based on the shape and orientation of the shaft and press them down into position. After that, reattach the burner bases. Match each base with the correctly sized orifice holder. Each spark igniter should fit into the groove on each of the bases. Then add the burner caps to each of the burner bases. Lay each of the grates and the grill into place on the cooktop. Now that the top is fully secure and reassembled, lift up the cooktop. Remove the two pieces of wood and lower the whole cooktop back into the cutout portion of your countertop. Go underneath the countertop. Loosen the middle adjustment screws for each bracket, but don’t remove the screws. Then rotate the brackets ninety degrees so they are perpendicular to the line between the cooktop and the countertop. Do this with each of the support brackets. Add the screws back in place on the outer edges of the brackets to more securely hold the cooktop in place. After that, reconnect the venting to the to the blower. Tighten the clamp to lock it in place. Turn on the gas supply and plug the cooktop in. Test the flame output from the new burner valve to make sure it has an appropriate flame height for low and high settings. If you have more appliance repairs you want to make, go to Fred’s Appliance Service for more repair tips. You can also schedule an appointment with a trained appliance repair technician who can troubleshoot your appliances and make quick repairs. When your dryer goes, it instantly makes laundry chores substantially move inconvenient and time-consuming. That is why the best thing that you can do is nip a dryer problem in the bud before it turns into a major issue. And no matter the scale of a dryer repair need, recruiting the professional service of an appliance repair expert is the right move. If you suspect your dryer is in need of repair, here are six clear signs that it is time to call in a professional. Your Dryer is Moving Around: If you have noticed that your dryer has not stayed in one spot, it may be time to call an appliance repair expert. In most cases, if a dryer starts moving around the room instead of staying put, it is an indication of something wrong. Before jumping to conclusions, first make sure that the dryer is positioned in such a way that it is level with the ground. After checking this and seeing that the dryer still moves, it is time to call in a professional. They will be able to inspect the machine and determine whether or not your dryer simply needs a minor repair or if it needs to be completely replaced. If your dryer is moving around inexplicably and you continue to ignore the problem, it will only lead to such problems as the dryer getting loose from the connection and other, more serious problems. Your Clothes Are Burning in The Dryer: If your clothes are coming out of the dryer burned or smelling like they are burning, there is definitely something wrong with your dryer and you will need to call a repair expert as soon as possible. When a dryer is causing clothes to burn, there could be a number of things triggering the problem. Usually a compromised dryer vent will cause execissve heat in the dryer. A repair technician will be able to check every part of the dryer, including things such as glides and drum seals. Keep in mind, it is important to get this problem looked at as soon as you can in order to prevent a potentially hazardous and even dangerous situation. Your Dryer Is Not Tumbling: If your drying is not spinning the clothes, it is possible that the dryer belt is worn out or broken and needs to be replaced. Additionally, if it is not the dryer belt, it could be the switch on the machine or the dryer’s motor. Whatever the issue might be, you will need to call a professional appliance repair technician to identify the exact problem and take care of it accordingly. Your Dryer Runs But It Doesn’t Heat Up: If your dryer still runs but it is not heating up, the likely culprit could be a broken thermal fuse. This could be caused by a few different things including dirty, clogged up lint screens, an overloaded dryer, or blocked ventilation. If any of these things have caused the thermal fused to break, you will need to call a professional repair technician to have them replace or repair the thermal fuse. Your Dryer Won’t Turn On At All: Before you assume that your dryer is completely broken and needs to be replaced, there are a couple things you can check first. A dryer that does not turn on could indicate a few different things. First, you will want to make sure that the power is actually on. To confirm that it is, take a look at the power voltage on your outlet. If everything looks find there, take a look at the fuse box to make sure a fuse hasn’t blown. If all is well in both areas, it may be time for an outlet replacement. An appliance repair technician can inspect all of these things for you if you do not feel comfortable doing it yourself or you don’t know where to look. Another thing to keep in mind is that if you notice electricity is coming from the outlet but not powering on your dryer, you may need to get a new power chord. For non-power related issues, check your timer and thermostat. If either of those parts are faulty, they could be affecting your dryer’s ability to turn on. A couple other issues could be causing your dryer not to turn on including a bad terminal block or a faulty start switch. Whatever the case may be, the safest and most efficient thing to do is call in a professional appliance repair technician to determine the cause of the problem and get your dryer up and running again. Additionally, by having an expert inspect your dryer, you can potentially save money by only paying for a repair instead of a full-on dryer replacement. Your Clothes Come Out Warm But They Haven’t Completely Dried: After running your clothes in the dryer for a full cycle you come back to find they are still not completely dry, you will know you have a problem with your dryer. If left ignored, this minor irritant will turn into an even bigger problem. Eventually, your clothes just won’t dry at all. So what is the cause behind this and how can it be fixed? 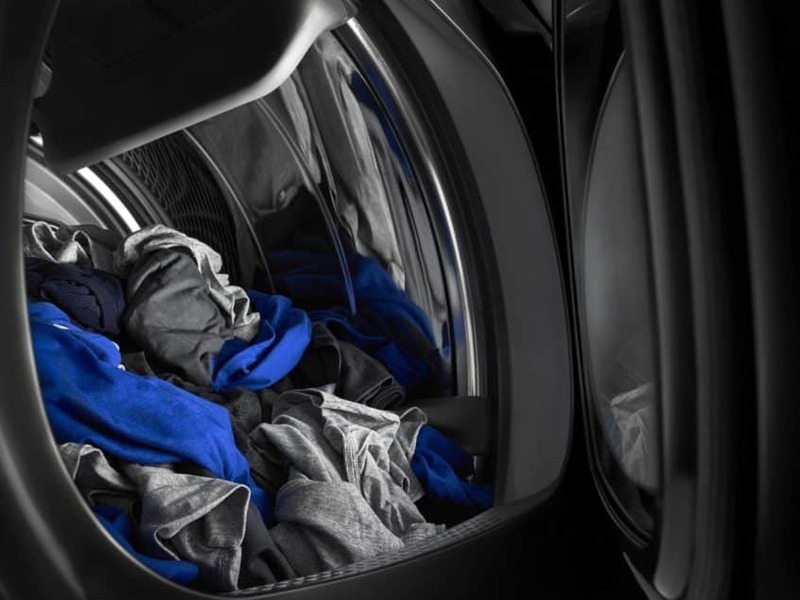 Usually, when clothes are not drying all of the way, it is due to a venting issue or possibly the washer is not spinning out the clothes enough before using the dryer. Do you suspect that your dryer is in need of repair? Or has it completely broken down and you are in need of a fast repair? Please don’t hesitate to contact us today with any questions or concerns you might have. You can also visit our official website to view our extensive list of appliance repair services and learn more about our expert team of repair professionals. Whether you are new to the area or you have lived in Cleveland for years, as the weather gets colder, you are likely looking for some fun things to do, especially if you have young children who get a little restless being inside for most of the day. While there are so many great things to do in and around Cleveland here are just five activities that you are sure to enjoy in early 2019. If you’re feeling a bit antsy to get active, you may want to sign-up for this. The first wave will start at 8 pm with additional waves following. It includes both triathlon and biathlon options. The triathlon will consist of a swim, bike, and run while the biathlon will only contain the bike and run. The swimming part of the competition takes place in the swimming pool as well as the lap pool. For the bicycling part, you can use one of the facility’s Cycleops bikes. 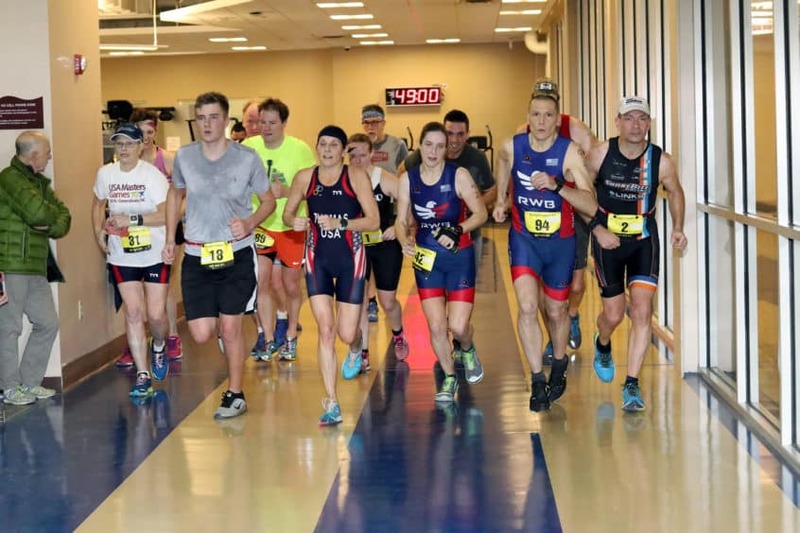 The running portion takes place on the upstairs track.There are many bonuses to this event over a traditional triathlon or biathlon. For example, instead of having specific distances for each event, it consists of 20 minutes of each discipline. This means that if you tend to be a little slower at one of the events, you don’t have to worry about being way behind the rest of the competition. Since you don’t have to go a specific distance in a set amount of time, you also don’t have to worry about keeping a certain pace to remain in the race. You can simply enjoy the experience at your own pace. Along with that, since it’s inside, you don’t have to worry about bundling up for your run or bike ride. If running, biking, and swimming is not your style, you can still participate in the event by volunteering as a counter. It would take nearly 20 hours to watch all eight of the Harry Potter movies, and it would take far longer than that to read all seven books. Luckily, the seven books have been condensed down to a 70-minute performance in Potted Potter: The Unauthorized Harry Experience. This two-man show includes 360 Harry Potter characters, a fire-breathing dragon, and even a Quidditch match. If you’re a fan of the books or movies, it’s a must-see, and if you’re not yet a fan, you might be one after seeing this hilarious performance. Potted Potter: The Unauthorized Harry Experience is appropriate for Harry Potter fans, and future fans of all ages. Children and adults alike have fallen in love with Disney movies and the overall Disney culture, and this the perfect opportunity to see some of your children’s (or your own) favorite Disney characters. Disney On Ice: Mickey’s Search Party will be in Cleveland from January 11-20, 2019. With fourteen opportunities to see the show, some in the evening and others midday, you are sure to find the perfect one to fit your family’s schedule. The show is ideal for families with small children. Mickey Mouse and his friends follow a treasure map to try and find Tinker Bell. Along the way, they enjoy a great adventure. Many other Disney characters, including Belle, Moana, and Elsa, also join this ice skating adventure. Tickets range from $15-90 depending on your seat location as well as the specific show you have chosen.For an added adventure, Storytime with Belle can be added to your Mickey’s Search Partyadventure for an additional cost. Storytime with Belle takes place an hour before the show and provides photo opportunities, complimentary snacks and beverages, the opportunity to meet Belle and Mickey, and one printed photo in an autographed frame. Along with that, Belle retells the story of Beauty and the Beast. This is a fun opportunity to get out of the house and allow your young children to meet some of their favorite Disney characters. If you are looking for a fun musical that the whole family can enjoy, Cinderella is an excellent choice. With music by Rogers and Hammerstein, this will be a fun musical experience for the whole family. You can watch some of your favorite scenes from this beloved story. You can enjoy the pumpkin’s transformation into a beautiful carriage, Cinderella’s ballroom experience, and the moment that she loses her slipper. Because tickets start at $10, it can be a fun night out with the whole family or a wonderful way to spend a Saturday or Sunday afternoon with family and friends. If you’ve never seen a Harlem Globetrotter’s game, you are in for a real treat. The Harlem Globetrotters are known for their fun mix of athletic skills, comedy, and crowd-pleasing tricks. This may include doing backflips, balancing the basketball on their heads, or otherwise making the crowd laugh. This a great experience for people of all ages. Whether you want to make it a date night, you want to go with a few friends, or you plan to take your whole family, including the kids, you are sure to have a great time watching the Harlem Globetrotters perform. You may even be able to get a few autographs and get a picture with your favorite player. Yes, Canton is a little outside of the Cleveland area, but it’s worth the drive for some great entertainment.At Fred’s Appliance Service, we are dedicated to helping you keep your appliances in good repair. If you’ve got an appliance that’s not working properly, contact us. We are dedicated to providing fast service, so you can get back to enjoying the great activities our area has to offer.